The guy who made DKS pee that one time. And apparently this one will be for a copper mine. Or a mostly zinc mine since it's a post-1983 penny! Took advantage of today's lightning deal, my printer will be here Sunday. Modeling Norfolk Southern one loco at a time. Dang man. Got to be about 10 here alone. 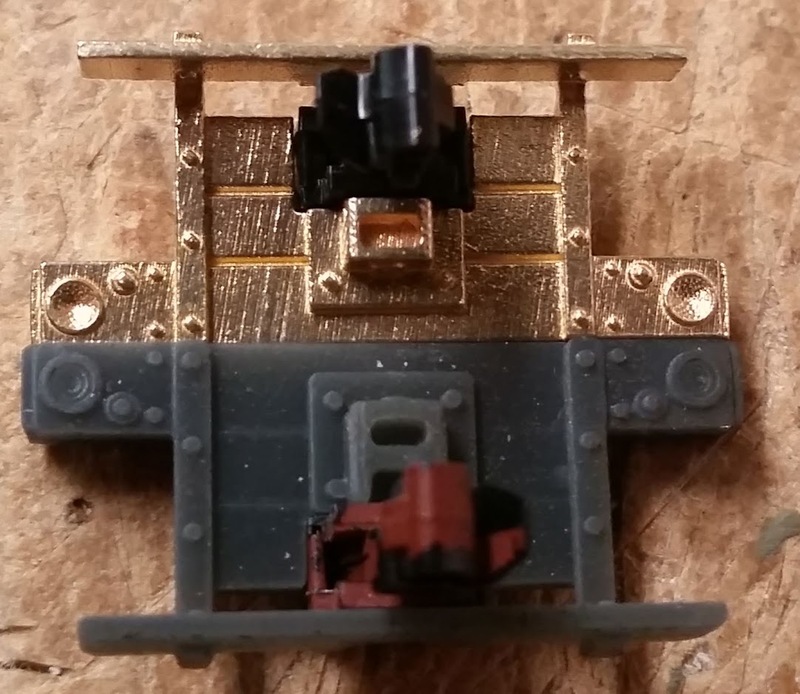 Not Photon news, but I got the brass Shapeways parts in today. Yeah, probably because majority of items printed in this material are jewelry, so they come in gift bags. While I enjoy reading this thread, I wish some of the stuff mentioned here (in almost 800 posts now!!) would have been covered in separate threads. This is one crazy free-4-all! Did my first print off one of my models, my SD70ACC cab and inverter cabinet. I think it turned out pretty good for my first time. Change the off time to 6.5 in your Photon slicer, cause that is the minimum amount of time it takes the "Z" axis to cycle and cause the "print time" to be wrong when the slicing is done. I'm sure this was just proof of concept, correct? Not familiar really with the prototype, are there vents, grilles or doors that you plan to include in subsequent designs? Is there a way that the bottom, where it meets the sill can be more straight/flush? It looks a little wavy, is that where the supports were trimmed? Yes, this was pretty much just a test to see how it would turn out on the Photon. The prototypes are rebuilt SD70s to AC traction, wide cab, ect. The louvers on the doors all turned out well but the vents on the inverter cabinet look a little fuzzy but I also think I made them a bit small. The details are a bit to see anyways on this green resin, and my quick cell phone shot didn't help much either. I'm going to give it a coat of primer tomorrow so I can fully inspect it. I didn't do much finishing on the model other than cutting off the supports, but a little sanding should square up the bottom nicely. I'll do some more testing during the week. I think I'm on the right track so far. NS must be really powershort a lot of time. It's amazing to me that they would shop that unit to do plastic surgery at the front and completely ignore the tail. Presumably they would do this surgery at the time for overhaul and yet they still don't paint them? These were probably shot after overhaul work completed and on their way to Juniata shops for paint. 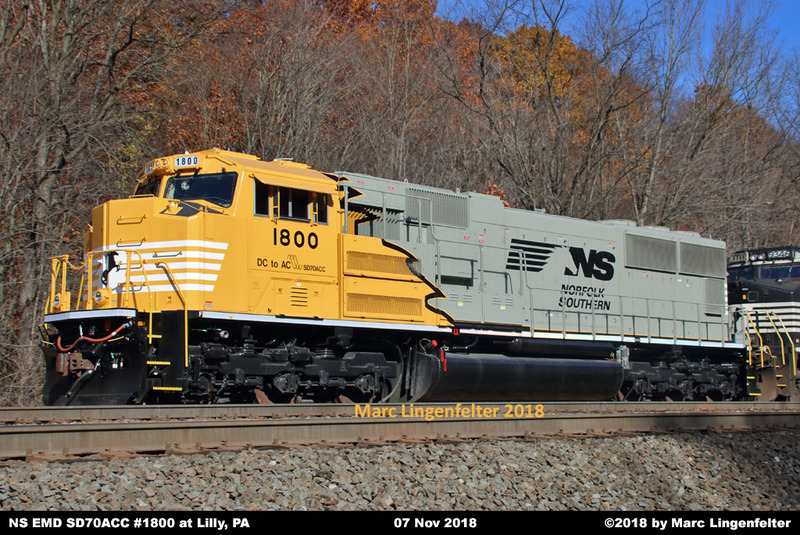 IIRC the SD70ACC rebuilds are done by Progress Rail in Muncie, IN or Mayfield, KY and shipped back to NS at the Juniata Shops for final painting by NS. Most are transferred in this ragtag look. NS currently has over 600 older locomotives stored due to implementing "Precision Scheduled Railoading" so no real shortage. Ah, thank you for the additional info. It seemed I had seen pictures of fresh GE units pressed into service in primer but I can't be certain it was on NS. Congratulations! Some gray primer will bring out the detail and I'll bet it will be impressive. Rod already mentioned setting the off time to 6.5. It won't change anything you've done this far because that's what you had anyway. It's the time it takes the machine to cycle up and back. What it does effect is the estimated cycle times as they are calculated from the setting inputs. The number you put in will give a time estimate much quicker than you will actually get. By 5 seconds per layer. When you put in the 6.5 number your estimates will be very close to the real time. And don't hesitate to try .05 layers. They print pretty nice too, and a lot faster. The normal time should be increased to 10 or so if you do that. I successfully used that with green resin. I think .05 layers give you less sagging as well.